KC Landscape & Irrigation provides design plans, renovations, upgrades, installation, and irrigation installation. 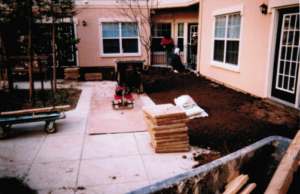 Our crews provide top quality service and top quality materials throughout the construction process. Our team of professionals will schedule the project according to the General Contractors deadlines with efficiency and pride. We guarantee our labor and materials for a full year and will replace or repair any deficiencies in the project. KC Landscape & Irrigation strives to beautify as much of the world as possible. For more information on the commercial landscape construction services that we provide, we encourage you to contact us via our web form or by calling us directly at 817-640-0122 today!